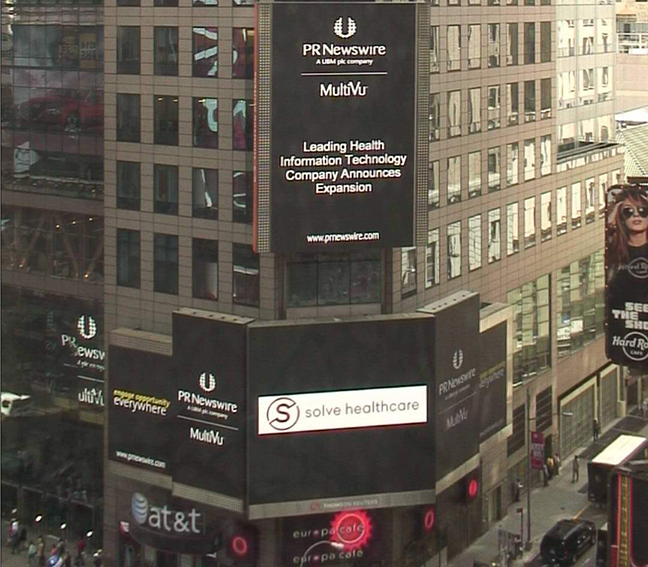 Solve Healthcare Featured on Reuters Screen in Times Square! Solve Healthcare was prominently displayed on the famous Reuter’s screen in Times Square this morning. Here is a glimpse of our logo just in case you didn’t look up from your coffee cfix!